A business park at South Yorkshire’s expanding international airport is now close to capacity after a rush of arrivals by businesses and investors. All 22 office units at Fountain Court, next to Doncaster Sheffield Airport, have been sold, with availability now limited to properties which have been bought to let. One investor, Sheffield-based retail and shop fitting specialist Matt Squire, arrived at Fountain Court with a view to carrying out some work on one of the units. Instead he bought one. Fountain Court was developed by Leeds-based Prospect Property Group and built to a high specification as a result of the investment of almost £2.5 million from the European Regional Development Fund (ERDF). 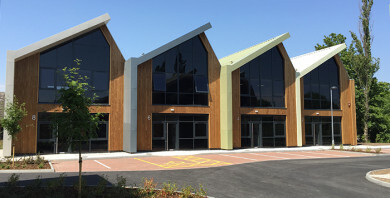 Craig Gooddy, an associate in the commercial agency team at Barnsdales, said the firm concluded deals on 14 of the units, which were disposed of over a period of about 18 months. Business owners who have moved to Fountain Court share the confidence and are building their own community.